The bentonite mixing systems are used both to reduce surface friction whilst creating the pilot bore and also when using the tow back method by attaching a reamer and towing head to end of pilot rods and pulling back the product pipe. They are equipped with a tank, a mixing unit and a pumping station. 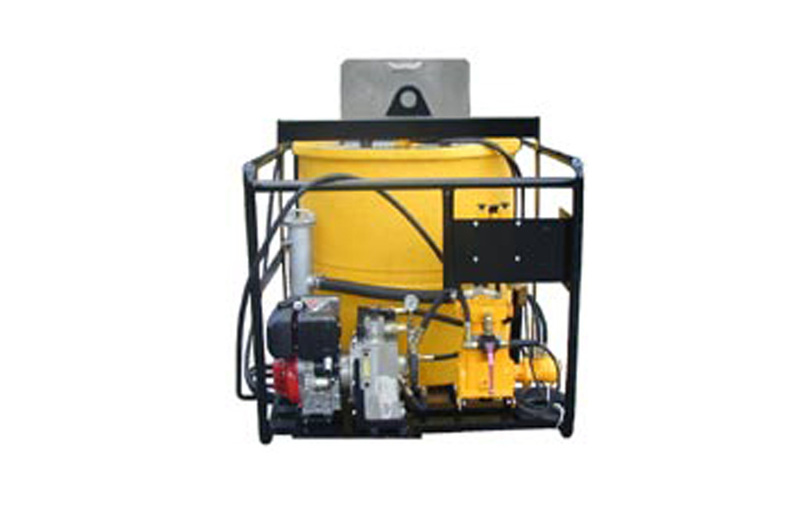 The systems are driven either by an on board diesel driven power pack that provides hydraulic power or by connecting to the hydraulic power pack supplied with the PBA machine.